Laumer, Keith. Worlds of the Imperium . Tor 1982. Series note: Four volume series, containing Worlds of the Imperium , The Other Side of Time , Assignment in Nowhere , and Zone Yellow . The middle two volumes have been collected in the omnibus volume Beyond the Imperium . The first three volumes will be collected in the omnibus volume Imperium . Laumer, Keith. Worlds of the Imperium . Translated to the Spanish as Mundos de imperio , Martínez Roca 1978. Summary: A man from our world becomes an agent for a world run by an Anglo-German imperium, and visits another where civilization fell after Germany won World War I. Series note: First of the Crosstime Imperium tales. — Included in Three by Laumer , Gollancz 2017 (1473215994BUY). Translation: French by Bruno Martin as Les Mondes de l'Imperium , Opta 1971. Translation: Italian by Lucia Morelli as I Mondi dell'Impero , La Tribuna 1964. Translation: Portuguese by Eurico Fonseca as Mundo Alternante , Livros do Brasil 1969. Translation: Russian as Miry imperiuma , Tsentrpoligraf 1992. Translation: Spanish by Horacio González Trejo as Mundos de imperio , Martínez Roca 1978 (8427004253). Translation: Swedish by Torkel Franzen as Imperiets världar , Laisses faire 1983 (9176480089). Laumer, Keith. The Other Side of Time . Berkley/Medallion 1965. Summary: Our hero is trapped in a timeline where Napoleon won a glorious victory at Brussels in 1814. Series note: Second of the Crosstime Imperium tales. Published: Berkley/Medallion 1965; Walker 1971; Signet 1972 (0451052552BUY). — Originally serialized in Fantastic Stories , April through June 1965. — Included in Beyond the Imperium and Imperium . 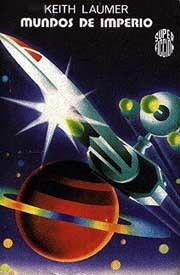 Translation: German by Peter Kleinert as Invasion aus der Null-Zeit , Bastei 1973 (3404000587). Translation: Spanish as Al otro lado del tiempo , [[publ. unknown]]. Summary: The last Plantagenet visits a timeline where Richard Couer de Lion avoided battle at Chaluz but succumbed to French conquest in his old age. Series note: Third of the Crosstime Imperium tales. Published: Berkley 1968; Dobson 1972 (0234776323). Summary: Concluding with conflict versus a crosstime invasion of rat-like creatures. Series note: Fourth of the Crosstime Imperium tales. 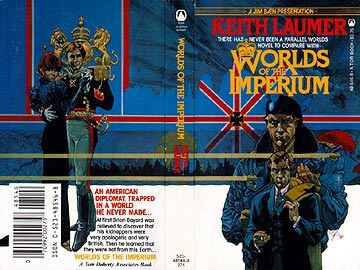 Laumer, Keith. 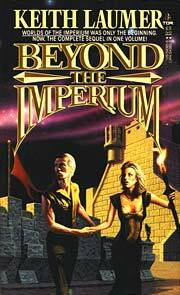 Beyond the Imperium . Tor 1986. Comments: Omnibus of The Other Side of Time and Assignment in Nowhere . Published: Tor 1981 (0523485131), 1986 (0812543815, 0812543823). Translation: Nederlands by Mike Grothaus as De Komst van de Chaos + Invasie uit de Dimensies , Meulenhoff 1974, 1980 (9029002581). Comments: Omnibus of Worlds of the Imperium , The Other Side of Time and Assignment in Nowhere .